Made from antique ceiling tins that are salvaged from all over the world. These frames can be displayed on a table top as they come with pre-drilled holes and a wooden dowel for vertical and/or horizontal display. They can also be displayed on the wall as they are also pre-hung. These are one of a kind and no two are exactly alike. Available in White, Pink or Creamy white. Please make your selection below. 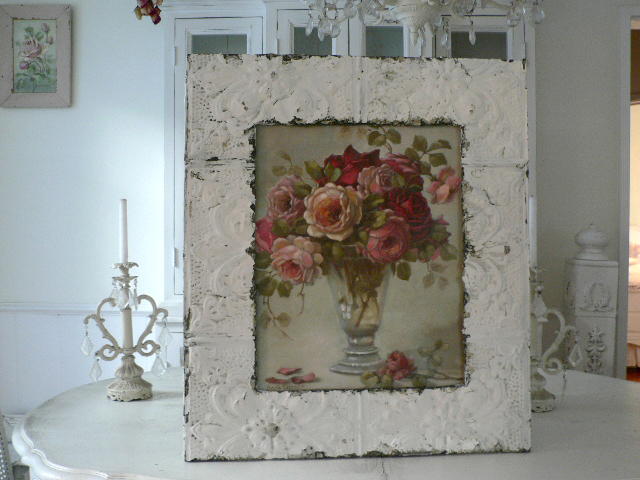 This is a custom made to order antique ceiling tin frame with exterior measurements of 2 ft high x 4 ft wide. This Frame can be made to fit any Christie Repasy canvas print. This frame does not include glass, but will include all hardware already attached to the back of the frame for hanging and for holding your canvas print in place. The tin frame in the photo is for reference only. You may contact us if you would like to see a photo of the tin style we currently have in stock prior to placing your order. If you are purchasing a Christie Repasy canvas print seperately, we will frame it for you at no additional cost. *If the print is purchased prior to your order being shipped. Please select the size of the canvas print you are purchasing this frame for. 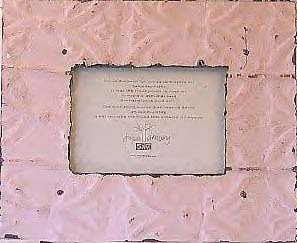 We recommend this size frame for longer prints, however the opening can be made any size. You may also specify whether you prefer your frame to have more or less distress (chipping paint). The first photo shows a 10"x24" canvas print named "Bella Bianca". The second photo shows a 10"x36" canvas print named "Cherise". 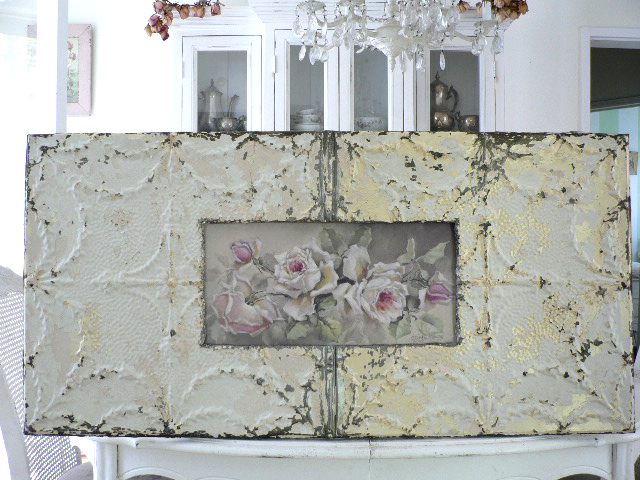 This is a custom made to order antique ceiling tin frame with 6" wide ceiling tin on each side. The exterior measurements will vary depending on the size of the canvas print. 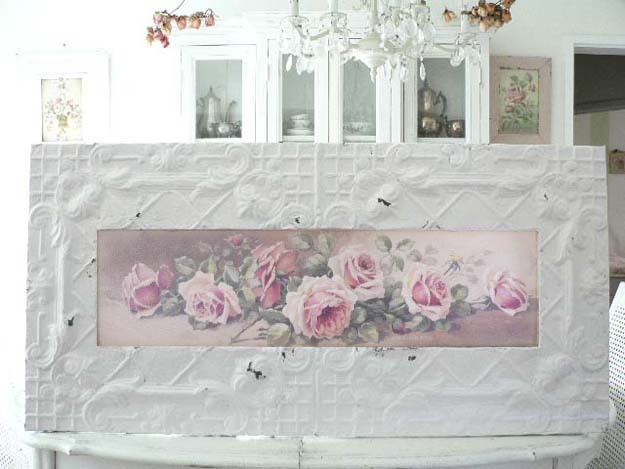 This Frame can be made to fit any Christie Repasy canvas print. This frame does not include glass, but will include all hardware already attached to the back of the frame for hanging and for holding your canvas print in place. Please select the size of the canvas print you are purchasing this frame for. 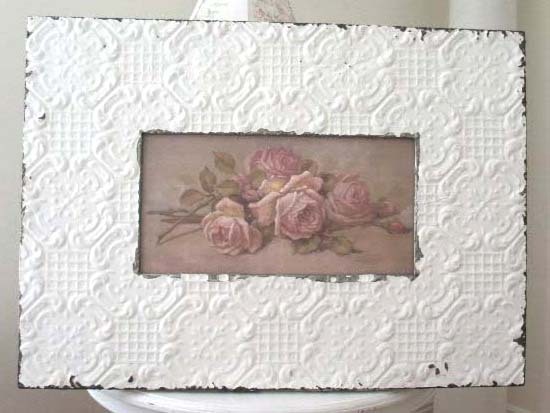 You may also specify whether you prefer your frame to have more or less distress (chipping paint).